The miniELCORE is a battery powered gas volume corrector, offering exceptional value for money as it is competitively priced for effective metering and data collection, and has up to 6 years of battery life in defined conditions. The miniELCORE provides a complex solution for transfer measuring and telemetric data collecting. It is designed to be used in hazardous areas and is a good first choice for basic telemetric functions and billing. The password-protected feature offers the added peace of mind to prevent unauthorised tampering and access. The miniELCORE comes equipped with a 6 button keyboard and backlight graphical LCD display, for the user to readily read values in real time. 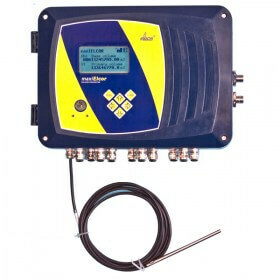 As an optional extra the miniELCORE can be installed with GSM/GPRS communication. It can also be powered from an external safe power source.